Discover a stunning choice of Harris Tweed garments and accessories from the Harris Tweed and Knitwear Company. 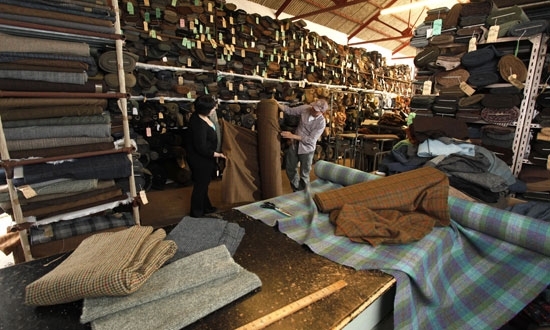 The family-run Harris Tweed and Knitwear Company specialises in producing a diverse range of tweed attire, accessories and furnishings of the highest quality. Created from tweed hand-spun and woven using a 70-year-old Hattersley loom, visitors can browse everything from tweed suits and ties, to handbags and bedspreads, all of which carry the Orb Mark – the Harris Tweed trademark – signifying their authenticity. 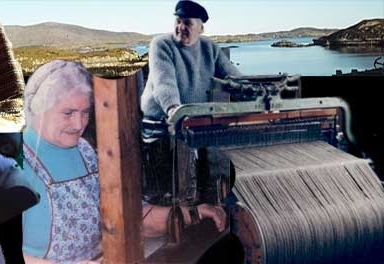 Visiting tours and groups can learn more about this time-honoured process at pre-arranged weaving demonstrations.